Is there a better alternative to PicTwiddle? Is PicTwiddle really the best app in Designs and Graphics category? Will PicTwiddle work good on macOS 10.13.4? Note: PicTwiddle is no longer under development, and it is no longer available for sale. 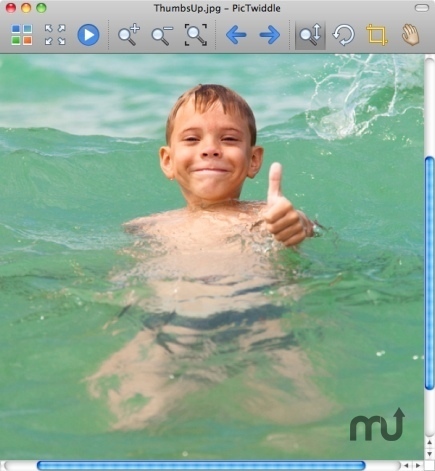 PicTwiddle is a simple fast image viewer that remembers how you last viewed each of your images - zoom, cropping, rotation, and scrolling - and applies the same settings next time the image is viewed. PicTwiddle needs a rating. Be the first to rate this app and get the discussion started! View your images the way you want to without having to edit them - unlike most image 'viewers', if you change the cropping or rotation you won't be prompted to save the changes to file, but you won't lose the changes either. They are simply remembered, along with zoom and scrolling, and reapplied next time you view the image. Simple tools allow you to easily adjust the view, and you can always return to the original image, or undo changes, with a key press. PicTwiddle is optimized for full screen so you can view images or browse folders and thumbnails with the minimum of clutter. Each image view can easily be altered using the auto-hiding toolbar or simple keyboard shortcuts.